We're so excited you're continuing with our second book, Living the Abundant Life. If this is your first Abundant Life Course, please go back and begin with the prior book FINDING the Abundant Life, to get the best results and understand the foundational principles. By now your relationship with your Heavenly Husband should be quite intimate, so what do you call your HH "Heavenly Husband? Do you begin typing Dear Darling, Sweetheart, my Love in your journal? Or do you still address Him as Lord: Dear Lord, Dear God? If you still address Him as Deity, seated up in heaven looking down, I promise that He wants to join you—sit down right next to you! Express your love to Him by how you would address a “real” husband—not by a formal name, not even by the name his family calls him—but an endearing name, a special name, a name that expresses intimacy and love. Write in your Journal words of endearment, remember, these are your Love letters to Him, to the One who is your Husband. "Darling, we are trusting You to know how to give this bride the encouragement she needs in order to feel, not just imagine Your embrace." Be sure to first READ the Chapter and then stop to ponder— letting the Lord speak to you. Ask Him questions, tell Him how you feel, ask Him what He wants to teach you and what He wants you to take away from reading the chapter. Then pour your heart into your Journal, coming away with all He has for you—helping you experience Him and His Abundant Life to the fullest! Lastly, maybe even the following day, CLICK ON the Fellowship link under each chapter to read how the chapters affected our ministers. And, to prepare your heart and in order to really feel how close your Heavenly Husband is to you, we'd encourage you to download this MP3 file of a song that you can sing to your HH "I Only Have Eyes For You." Do this each time you come to read a chapter and anytime throughout your day. If this chapter or singing this song to your HH has blessed you, we'd encourage you to submit a PR that may help another woman find her HH too! Chapter 1 "Could this be His Plan?" Chapter 2 "Giving is the Secret"
Chapter 3 "The Wave of Adversity"
Chapter 4 "When Do I Give Up?" Chapter 5 "Small as a Man’s Fist"
Chapter 6 "That Amazing Grace"
Chapter 7 "Believing God for Great Things"
Chapter 8 "You’re Being Set-Up"
Chapter 9 "What’s the Point?" 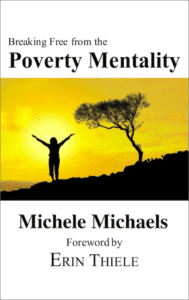 Chapter 10 "From the Inside Out"
Chapter 11 "Guilty of All"
Chapter 16 "No Longer an Adulteress"
Then, continue on your Abundant Life Journey with our third and most requested book, Poverty Mentality.